A diesel multiple unit or DMU is a multiple-unit train powered by on-board diesel engines. A DMU requires no separate locomotive, as the engines are incorporated into one or more of the carriages. They may also be referred to as a railcar or railmotor, depending on country. Diesel-powered units may be further classified by their transmission type: diesel-electric (DEMU), diesel-mechanical (DMMU) or diesel-hydraulic (DHMU). The diesel engine may be located above the frame in an engine bay or under the floor. Driving controls can be at both ends, on one end, or none. DMUs are usually classified by the method of transmitting motive power to their wheels. In a diesel-mechanical multiple unit (DMMU) the rotating energy of the engine is transmitted via a gearbox and driveshaft directly to the wheels of the train, like a car. The transmissions can be shifted manually by the driver, as in the great majority of first-generation British Rail DMUs, but in most applications gears are changed automatically. In a diesel-hydraulic multiple unit, a hydraulic torque converter, a type of fluid coupling, acts as the transmission medium for the motive power of the diesel engine to turn the wheels. Some units feature a hybrid mix of hydraulic and mechanical transmissions, usually reverting to the latter at higher operating speeds as this decreases engine RPM and noise. In a diesel-electric multiple unit (DEMU) a diesel engine drives an electrical generator or an alternator which produces electrical energy. The generated current is then fed to electric traction motors on the wheels or bogies in the same way as a conventional diesel electric locomotive. In modern DEMUs, such as the Bombardier Voyager family, each car is entirely self-contained and has its own engine, generator and electric motors. In older designs, such as the British Rail Class 207, some cars within the consist may be entirely unpowered or only feature electric motors, obtaining electric current from other cars in the consist which have a generator and engine. A train composed of DMU cars scales well, as it allows extra passenger capacity to be added at the same time as motive power. It also permits passenger capacity to be matched to demand, and for trains to be split and joined en route. It is not necessary to match the power available to the size and weight of the train – each unit is capable of moving itself, so as units are added, the power available to move the train increases by the necessary amount. DMUs may have better acceleration capabilities, with more power-driven axles, making them more suitable for routes with frequent closely spaced stops, as compared with conventional locomotive and unpowered carriage setups. Distribution of the propulsion among the cars also results in a system that is less vulnerable to single-point-of-failure outages. Many classes of DMU are capable of operating with faulty units still in the consist. Because of the self-contained nature of diesel engines, there is no need to run overhead electric lines or electrified track, which can result in lower system construction costs. These advantages must be weighed against the underfloor noise and vibration that may be an issue with this type of train. 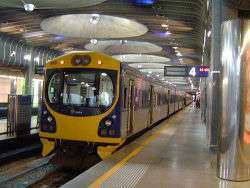 Adelaide Metro uses a variety of DMUs on their suburban network. 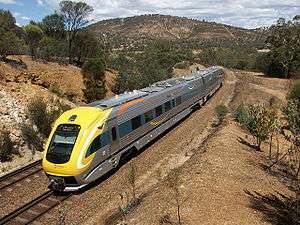 New South Wales Trainlink use Xplorer DMUs on services from Sydney to Canberra (ACT), Griffith, Broken Hill, Armidale and Moree. 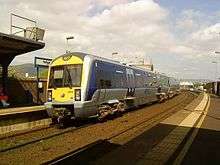 Endeavour DMUs are used on services to Bathurst, Moss Vale and Goulburn on the Southern Highlands line, Kiama to Bomaderry and on the Hunter line. Hunter DMUs are also used on the Hunter line. Victoria's V/Line uses Sprinter and V'Locity DMUs on all medium distance services. Western Australia's Transwa operates the Prospector, AvonLink and Australind on medium and long distance country services. In Queensland, heritage DMUs are used on the Savannahlander and Gulflander tourist trains. Chinese manufactured(CNR TANGSHAN) DEMU was introduced in Bangladesh in from May 25, 2013. DEMU is the country's first-ever commuter train service started its trial journey on Chittagong-Fouzdarhat route. In Japan, where gasoline-driven railbuses (on small private lines) and railmotors (Kihani 5000 of the national railways) had been built since the 1920s, in 1937 the first two streamlined DMUs came in service, class Kiha 43000 (キハ43000系). The service of several hundreds (in sum even thousands) of diesel railcars and DMUs started in 1950s following the improvement of fuel supply that was critical during World War II. The Southrail or the South Main Line of the Philippine National Railways which travels South of the Luzon island is one of the oldest rail lines in Asia and in the world. 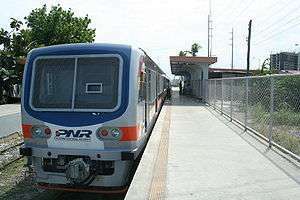 The Southrail of Philippine National Railways uses Hyundai Rotem DMUs together with second-hand DMUs from East Japan Railway Company or JR East. These are Kiha 52 and Kiha 59 which is also known as the "Kogane". Trains such as the Hyundai Rotem DMUs and Kiha 52 are often used for Metro Commuter Line services, while Kiha 59 is mostly used for Bicol interprovincial services and sometimes also for the Metro Commuter services. 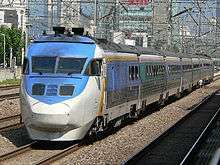 Korail operates many DMUs. 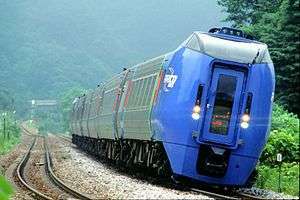 The DHC (Diesel Hydraulic Car), which made its debut for the 1988 Seoul Olympics, can reach speeds up to 150 km/h (93 mph) and serves Saemaul-ho trains. Indian Railways operates DMUs in India. 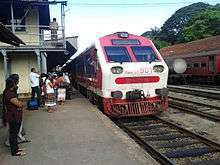 DMUs were first introduced to Sri Lanka in 1940. Aim of this was connecting minor railway stations and stops on the main line where most of express trains were not stopping. The DMUs are now usually used on the Taiwan Railway Administration Hualien–Taitung Line, North-Link Line. DMUs in Taiwan are classified as Class DR.
Class DR2700 - Built by Tokyu Car Corporation in 1966. Was the fastest train on the Western Line. Class DR2800 - Built by Tokyu Car Corporation in 1982 and 1984. In the Republic of Ireland the Córas Iompair Éireann (CIÉ), which controlled the republic's railways between 1945 and 1986, introduced DMUs in the mid-1950s and they were the first diesel trains on many main lines. The first significant use of DMUs in the United Kingdom was by the Great Western Railway, which introduced its small but successful series of diesel-mechanical GWR railcars in 1934. The LNER and London, Midland and Scottish Railway also experimented with DMUs in the 1930s, the LMS both on its own system, and on that of its Northern Irish subsidiary, but development was curtailed by World War II. After nationalisation, British Railways revived the concept in the early 1950s. At that time there was an urgent need to move away from expensive steam traction which led to many experimental designs using diesel propulsion and multiple units. The early DMUs proved successful, and under BR's 1955 Modernisation Plan the building of a large fleet was authorised. These BR "First Generation" DMUs were built between 1956 and 1963, and the Class 121 "Bubble Car" is still in service as of 2015. 'Intercity' units, which were more substantially constructed, and shared many features with contemporary hauled coaching stock. They were built for express services on important secondary routes on the Scottish, North Eastern and Western Regions. In 1960, British Railways introduced its Blue Pullman high-speed DEMUs. These were few in number and relatively short-lived, but they paved the way for the very successful British Rail "InterCity 125" or High Speed Train (HST) units, which were built between 1975 and 1982 to take over most principal express services on non-electrified routes. These 125 mph (201 km/h) trains run with a streamlined power car at each end and (typically) 7 to 9 intermediate trailer cars. Although originally classified as DEMUs, the trailer cars are very similar to loco-hauled stock, and the power cars were later reclassified as locomotives under Class 43. They remain in widespread use. The popular Class 170 was the best selling DMU of the last 10 years in the UK. Networker diesel-hydraulic units, of Class 165 Network Turbo (standard commuter version) and Class 166 Network Express (for longer distance commuter services). These took over the remaining non-electric commuter services into London. Class 185 Desiro, a Siemens design introduced to the UK in 2006 for First TransPennine Express services. The 12.52 to Londonderry leaves Yorkgate station with C3K on the Belfast-Derry railway line on Northern Ireland Railways. Budd Rail Diesel Car RDC-1 #407 of the Cape May Seashore Lines, New Jersey. A type of Diesel Multiple Units in North America was the Budd Rail Diesel Car (RDC). The RDC was a single passenger car with two diesel engines and two sets of controls. Two Bombardier Talent low-floor DMUs on the O-Train Trillium Line in Ottawa Canada. 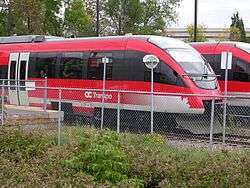 The O-Train Trillium Line in Ottawa, Ontario uses European-standard Alstom Coradia LINT (previously Bombardier Talent) DMUs on conventional railway tracks under a specific safety agreement with Transport Canada. Via Rail operates Budd Rail Diesel Cars on its Sudbury – White River train. Réseau Charlevoix (Le Massif) operates a shuttle in the Charlevoix region, Québec. Canadian National operates the small custom-built Koaham Shuttle between Lillooet, and D'Arcy via Seton Portage, 213 northeast of Vancouver. Union Pearson Express uses Nippon Sharyo DMU trains for express service between Union Station and Pearson Airport. Costa Rica has purchased several Apolo 2400 series DMU railcars from the former narrow gauge operator in Spain, which are run in commuter service. See Rail transport in Costa Rica. In the United States only FRA-compliant DMU systems are permitted on freight rail corridors. This is due to the Federal Railway Administration setting higher coupling strength requirements than European regulators, effectively prohibiting the use of lighter weight European-style inter-city rail DMUs on U.S. main line railways without timesharing with freight operations or special waivers from the FRA. This has greatly restricted the development of DMUs within the U.S. as no other country requires the much heavier FRA compliant vehicles, and no export market for them exists. The South Florida Regional Transportation Authority has used a Colorado Railcar bi-Level DMU and Coach consist since October 2006 as a technology demonstrator on the 87-mile long Tri-Rail commuter rail line between Miami and West Palm Beach, Florida. In early 2007, three more bi-level DMUs and an additional bi-level non-powered coach were acquired. Since February 2009, TriMet is using FRA-compliant Colorado Railcar DMUs for its rush-hour WES Commuter Rail service, a suburb-to-suburb line between Beaverton and Wilsonville, Oregon. The opening of the line was delayed from fall 2008 to early 2009 due to delays in getting the vehicles. TriMet also has two refurbished former Alaska RR RDCs as backup trainsets for when one or more Colorado Railcar DMUs is out of service. Sonoma-Marin Area Rail Transit, also referred to as SMART, will operate Nippon Sharyo DMUs (the same as those in Toronto) on its route between San Rafael and Santa Rosa, CA. Capital Metro uses Stadler GTW cars to operate Capital MetroRail, a commuter rail line serving the Greater Austin, Texas area. In Denton County, Texas, DCTA also uses Stadler GTW cars to operate its A-train service. DCTA has secured from the FRA the first-ever alternative vehicle technology waiver to use these cars on active freight corridors. NJ Transit operates the River LINE from Camden, NJ to Trenton, NJ, every 15 minutes during peak hours and every 30 minutes at other times. 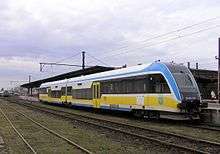 It uses modified Stadler GTW trains of one or two cars. The line is classified as light rail because it utilizes imported European made DMUs that do not meet FRA crash guidelines. The cars may not operate with the freight rail service that shares the line, so evening operating hours are restricted to Saturday nights. This line currently carries over 7,500 passengers on a typical weekday, exceeding expectations. NCTD operates the Sprinter line using Desiro Classic DMUs built by Siemens AG. Opened March, 2008, The line operates every half-hour daily, except limitations in the morning and at night on Saturday, Sunday and on holidays. The line runs from Oceanside, CA, where transfer is possible with Coaster commuter rail service to San Diego, to Escondido, CA. Like the NJT River Line, it is classified as light rail due to the use of European made DMUs, but does not run at a more typical light rail frequency. BART The eBART expansion plan calls for diesel multiple unit train service to be implemented from the existing Pittsburg/Bay Point station. The first phase of the expansion will proceed east along the Highway 4 corridor to the town of Antioch. The plan includes an option for a station at Railroad Avenue in Pittsburg. Future expansions in this direction could connect the eBART service to Oakley, Brentwood, Byron, and beyond to Tracy and Stockton. The DMU system was chosen as a less-expensive alternative to the existing third-rail BART design. Funding for this expansion was approved in April 2009. Boston's Massachusetts Bay Transportation Authority announced plans in 2014 to acquire 30 DMUs for use on the Fairmount Line, a currently active, but infrequently-serviced MBTA Commuter Rail line located in the Boston neighborhoods of Mattapan, Roxbury, and Dorchester. The initial DMU Pilot proposal allocated $240 million for the procurement of FRA-compliant DMUs, which would have been employed to improve frequencies along the densely settled catchment area of the Fairmount Line. The line's station received upgrades as part of another MBTA project associated with the broader CA/T (Big Dig) emissions mitigation projects legislation. The MBTA issued a "request for proposals" in 2014, but the option to proceed with procurement was never exercised. By 2016, the Authority eliminated the $240 million allocation for the DMU pilot program's implementation from the 2016 Capital Investment Program. Bonding authority still exists in theory for DMU procurement, but the RFP has since lapsed without any substantive action despite a months-long extension. The Los Angeles County Metropolitan Transportation Authority approved an allocation of $250,000 for a feasibility study of DMUs for "future transportation options for the region" on 5 July 2006 (Ara Najarian, Metro Board Member). Chicago's commuter rail line, Metra, is studying the use of DMUs on its newly proposed lines (STAR line, SES). 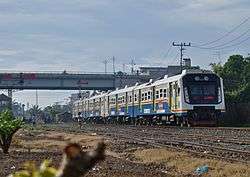 They claim these DMUs will have better acceleration, be more fuel efficient, and seat more customers than the current diesel locomotive and double decker rail cars that are currently in use. Seattle Area - The Central Puget Sound's regional transit agency Sound Transit, along with the Puget Sound Regional Council evaluated the feasibility of both DMU and diesel locomotive technology for operation in the Eastside BNSF Corridor in response to a state legislative request. The Eastside BNSF corridor runs from the City of Snohomish in the north to Renton in the south of the metro area. Sound Transit has no plans to operate passenger rail service in the eastside BNSF corridor, but has committed limited funds to provide capital improvements in the event another public or private operator proposes to operate the service. Anchorage Mat-Su Area- As part of a joint U.S. Forest Service (USFS) and ARRC Chugach Forest Whistle Stop project, a self-propelled rail car was purchased and delivered spring 2009. The diesel multiple unit (DMU) maybe available for flexible demonstration service during winter months. 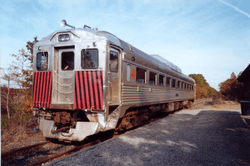 The Long Island Rail Road, the busiest commuter railroad in the United States, is exploring the possibility of operating DMUs on some of its lesser traveled routes in non-electrified territory (on the Montauk, Greenport, Port Jefferson, and Oyster Bay branches), where operation of its current fleet of C3 bilevel railcars pulled by DE30AC/DM30AC locomotives is uneconomical and inefficient. Wikimedia Commons has media related to Diesel multiple units, motor coaches and railcars. 1 2 "Cutting noise and smoothing the ride". Railway Gazette. 1 August 2000. Retrieved 20 January 2011. In the Voyager application, every car has a Cummins underfloor engine and alternator supplying power to a pair of body-mounted traction motors. Each drives one inner axle through a cardan shaft and axle-mounted final drive gearbox. ↑ "キハ４３０００の資料 - しるねこの微妙な生活／浮気心あれば水心!?". Retrieved 19 June 2016. ↑ "The Railway Museum in Saitama". Retrieved 19 June 2016. ↑ "LNER Encyclopedia: The LNER Armstrong-Whitworth Diesel-Electric Railcars". Retrieved 19 June 2016. 1 2 Heaps, Chris (1988). "End of the Blue Pullmans". BR Diary: 1968–1977. London: Ian Allan. pp. 66–67. ISBN 0-7110-1611-9. ↑ "1976: New train speeds into service". BBC News Online. London. 4 October 1976. Retrieved 15 February 2011. ↑ "New opportunities for the railways: the privatisation of British Rail" (PDF). Railway Archive. p. 8. Retrieved 15 February 2011. 1 2 3 "Class 253 High Speed Train". Railblue.co.uk. Retrieved 15 February 2011. 1 2 3 "Class 254 High Speed Train". Railblue.co.uk. Retrieved 15 February 2011. ↑ Such as the Railroad Safety Appliance Act of 1893. ↑ "Six Commuter Trains Purchased: Travel Easier in San Jose Costa Rica - Costa Rica Star News". 16 June 2012. Retrieved 19 June 2016. ↑ "LCBO - Lewis & Clark Explorer Train". www.lcbo.net. Retrieved 2016-09-18. ↑ Lewis, Bj (5 June 2012). "DCTA gets go-ahead to use Stadler cars". Denton Record-Chronicle. Retrieved 6 June 2012. ↑ "BART moves forward with $1 billion in extension projects - bart.gov". Retrieved 19 June 2016. ↑ "Commuter rail stop in Mattapan no sure thing as T balks on funding - Dorchester Reporter". Retrieved 19 June 2016. ↑ "Fairmount Line To Add Weekend Service, Maintain Lower Fares". Retrieved 19 June 2016. ↑ "Coming Soon page". Retrieved 19 June 2016. ↑ "Alaska Railroad - Alaskan Tours & Vacations - Train Packages" (PDF). Retrieved 19 June 2016.